I saw this cute little meme, Interview with a kid, a while ago… February to be exact and I copied it and save it as a draft. From there I forgot about it until last night when I was trying to decide what I was going to post today. I had a few ideas swimming around and some notes that I dictated while driving one day but none of them stood out and they required a lot more work than this one and I’ve been feeling rather lazy when it comes to writing around here lately. Anyway, this is an easy one because I just asked my daughter to answer a bunch of questions. Strangely enough she thought she got something for doing it. 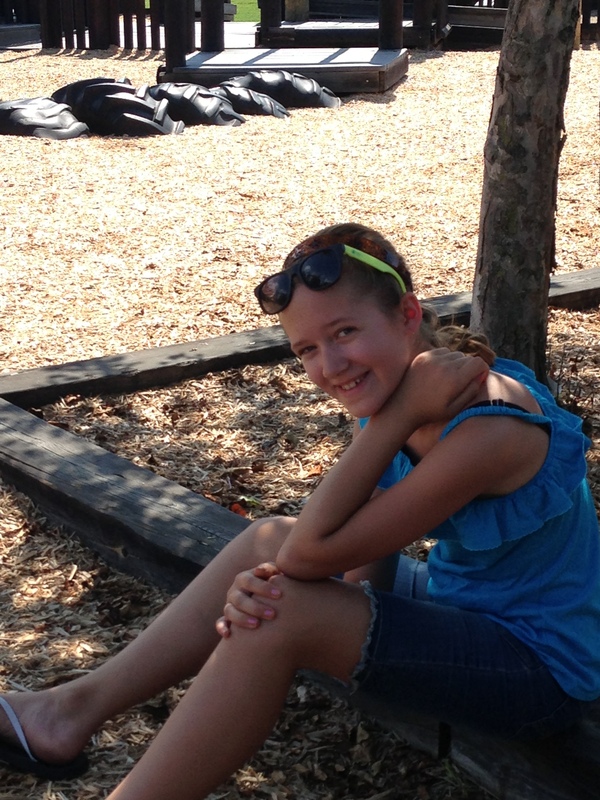 This is the only recent pic I could find where she wasn’t making a silly face. Height: 5ft – ish.. or so. She’s probably taller than that. She really does like her LPS…. 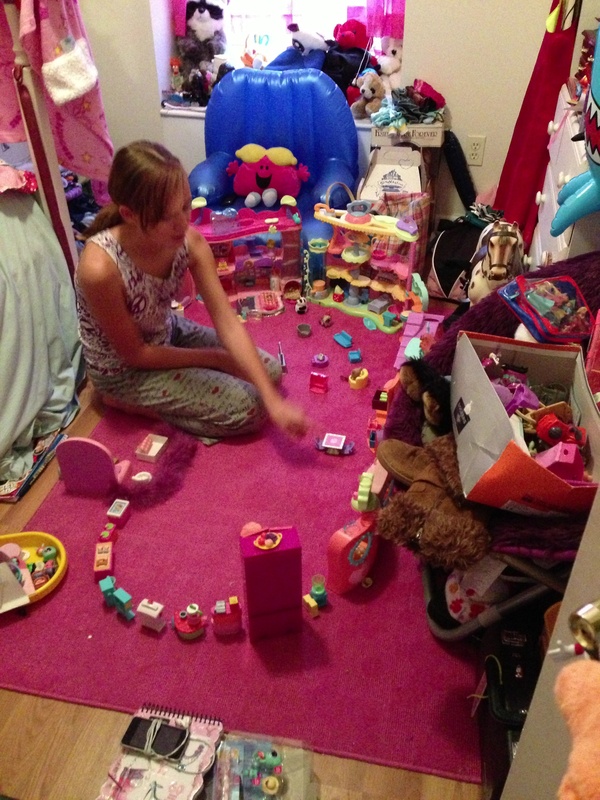 she set everything up in the middle of her room and created a mansion for them. Please ignore the rest of the mess. 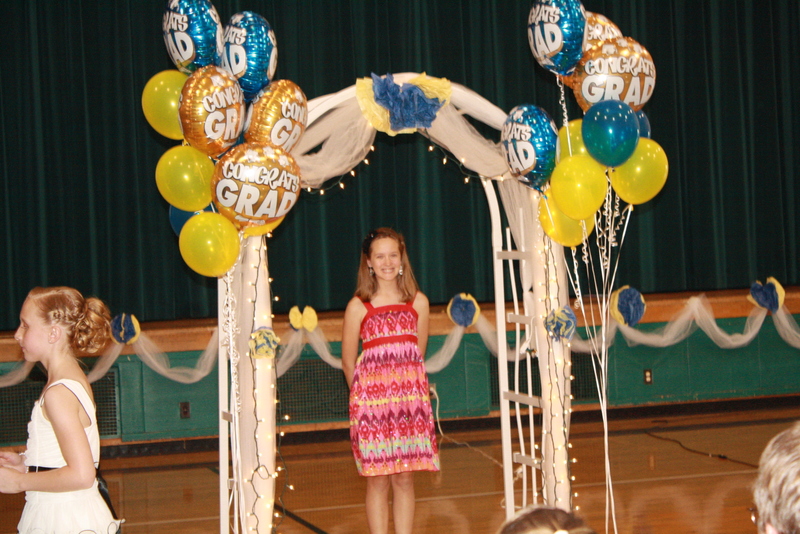 They made a big deal out of 5th grade graduation this year. I think that I got just as many questions asked of me while asking her the questions for this post. There were even more on my phone when I got up in the morning because she texted me in the middle of the night! I can’t wait to see what her sisters answers will be. Have you ever interviewed your kids? Play along…. snag the questions up there and share the answers in a post! 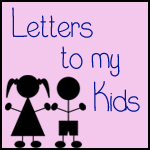 Welcome back to the third installment of Letters to my Kids! I hope that you’re enjoying the series and are thinking of joining me… it’s easy… just write a letter to a special kid in your life and link up bi-weekly. 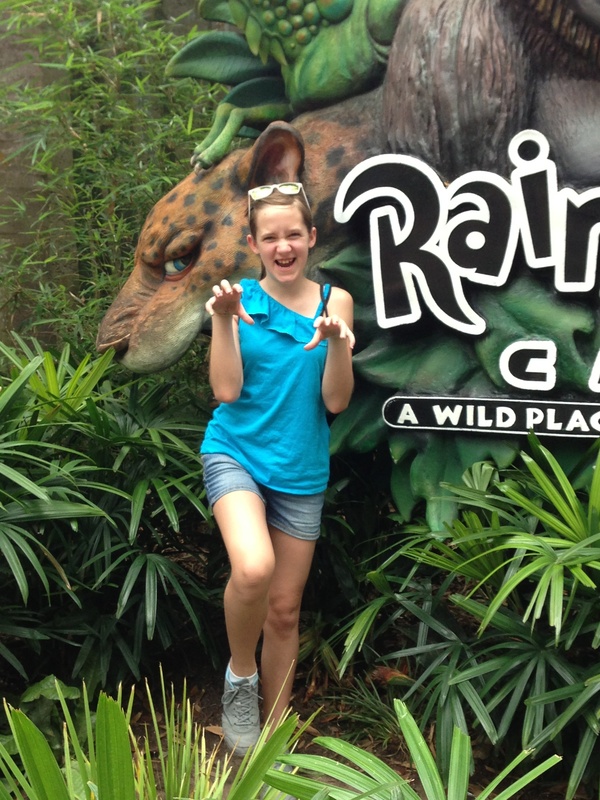 Oh… Lauren, what can I say? Well, usually not much because you rarely ever stop talking so I can have a turn! You were one of those kids who didn’t have a first word… instead you had a first sentence and ever since then you haven’t stopped talking. Of course you know all this and it’s been a running joke for as long as I can remember that you didn’t have a first word… a sentence instead. I remember when I was little that I didn’t know what adults found to talk about all the time. They were always talking and I just sat there and said nothing because there was nothing worth saying in my mind. You on the other hand always have something to say and you do it with flair and detail. Every story that you tell, every situation from school you share, or event you were at you explain to us in complete detail. So much detail that it’s just as good as being there if not better. Yes, I’ll admit that it can get annoying after a while but that’s who you are, Talkative Lauren, and I don’t know what we’d do if you were any different. But you’re so much more than a talkative little girl. You’re smart, open, honest, loving, and no matter what you would do anything for your siblings and friends. You have such a large heart and always make room for anyone who comes into your life and that is such a wonderful trait to have. I hope that life and the people that you come across always treat you with love and respect so that you don’t lose that love & openness for everyone. I hope that you never become jaded by the acts of a few and forget that are so many more lovely people out there in the world that would love to have a friend like you. Remember that you hold a special place in my heart and always will no matter what. You can find me in your inbox!